Have you ever had the urge to go back to the things you used to do before you became born again? If you haven't that's great. Keep on praying, reading your Bible and applying it into your life without compromise. Stay strong and don't look back at your old life before Jesus. If you have had that urge to go back to the negativity of your previous life before Christ, I would like to inform you that God already knew you'd be getting that urge. Because of that, He also provided detailed information for us as to what we should do when we arrive at that time in our life. I know this first hand because as I've walked hourly, daily, monthly, yearly and as the length of my walk in Christ has expanded, the fleshly desires of the past have creeped up, sometimes unnoticed, sometimes intentionally. Nonetheless, regardless of what is coming up let's be ready for action just like a soldier trains and prepares for battle, to win. Let's do the same. 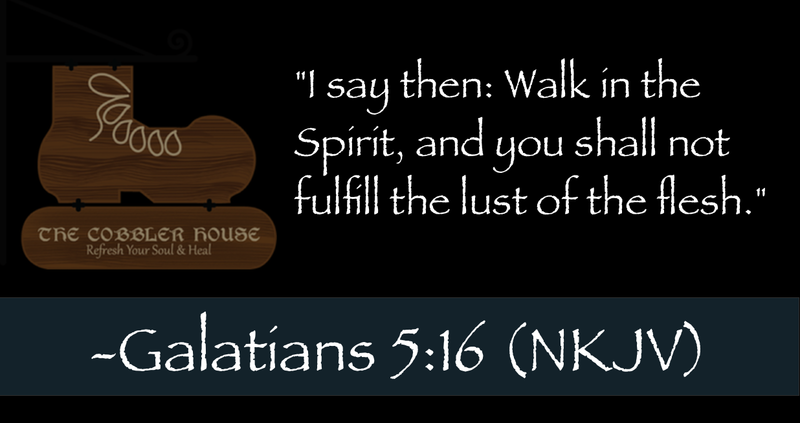 To combat the foolish desires of our flesh, the great encourager Paul, tells us to "Walk in the Spirit, and you [we] shall not fulfill the lust of the flesh". In a nutshell, that's all we need to do, and it sounds way to easy, but sometimes it can be hard because our flesh is weak, very weak. So how do we walk in the Spirit? When Jesus called us to Him, He also provided the Holy Spirit to indwell us and therefore guide us in our daily walk with Him and in this world. Knowing this, we need to call on the Holy Spirit so that He can guide us in our walk. We need to be consistent in calling on Him or we will become weak. At the point of weakness is where we usually succumb to the flesh and then fall. Don't let this happen. You do have a choice to become clothed by Him for the battle so choose Him. Yes, the process of fighting the battle is as simple as that. God is not looking for you to do some crazy, unrealistic things that are impossible for you to do so that you can be close to Him and to get His attention. He has set up the application of His Word into our life so that we can succeed and not fail. So today call on Him for strength and guidance away from the flesh and into service to Him alone. If you have failed in the past or even right at this moment, ask Him for forgiveness with a true heart, get up and then push on and don't look back. "Walk in the Spirit, and you shall not fulfill the lust of the flesh"
"But put on the Lord Jesus Christ, and make no provision for the flesh, to fulfill its lusts"